This is an anti-war film made roughly two years before the breakout of World War II. 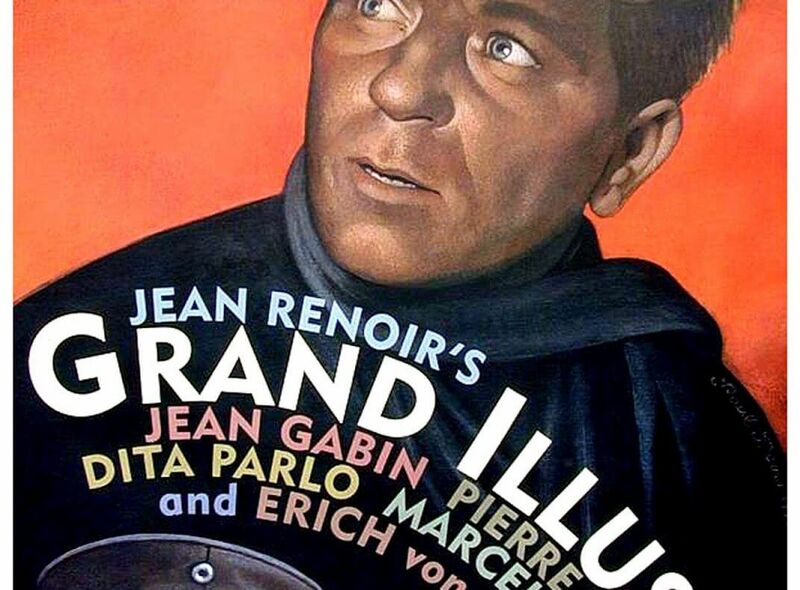 It exists as one of the great works of French director, Jean Renior, and stars one of cinema’s all time greatest leading men, Jean Gabin. It is also widely considered the first example of a prison break film, a sub-genre that is fairly ubiquitous in the modern cinema landscape. For many years, this film only existed as a myth, with very few prints even in existence, until a major restoration project unearthed the original negatives and finally brought this lost masterwork back from the dead. French soldiers seek to escape from a World War I German prison camp. La Grande Illusion is a film set during World War I. It was directed by one of the masters of French film, Jean Renoir, and was a monumental movie when it was released in 1937. The film centers around the relations between German, French, English, and Russian troops stationed at various German POW camps. The main focus is on a small group of French prisoners and their various attempts to escape. The most noticeable difference apparent from the very beginning of the film is how cordial the Germans and French are towards each other even though they are enemies. This becomes a very major theme throughout the film and is the focus of the film’s title. The nature of war is a subject that Renoir tackles head on at one point in the film when a German officer is forced to shoot a French officer who is providing a diversion so that his comrades can escape. While on his death bed, the French officer, who has befriended the German officer, tells the German that he would have done the same thing because it is their duty to do so. He then calls their duty a “futile existence.” This scene is powerful in that each man having a mutual respect for one another recognize that, were their respective countries not at war, they may have been very good friends. This seems at odds with most war movies that have ever been made which show animosity and hate towards enemies. Renoir, however paints a portrait of men forced to do things against their nature in the name of patriotism. This film is still ahead of its time in the way that it shows a very humanistic element of war where there is no protagonist or antagonist, just soldiers. Another way this film is monumental is that it is regarded as one of the first ever prison escape films. This genre has been hammered into the ground in our day and age spurring on not only films but television shows and books. The escape element of the film is just as exciting as anything Hollywood has ever produced and with added sentimentality of Renoir’s incredibly realistic characters makes this a film that is very easy to enjoy. This film also has a unique history to it that adds another layer to the enjoyment of this masterpiece. Fearing that the film would cause Nazi troops to lose their fighting spirit, or actually make them care about other people in general in this case, Nazi propagandists set out to capture all prints of the film that it could. Most of the prints that were in existence were captured including the original negative. Luckily the negative was not destroyed and sat untouched in various warehouses and vaults, many of the owners not knowing what they actually had. The original negative was discovered in the process of restoring the film and resulted in a mountain of restoration work to make the film as pristine as it was in 1937. The film is beautifully shot and the thought of this fantastic piece of art drifting off into oblivion is shocking. That’s why I believe the Criterion Collection is so important. Had this movie not been in the collection, I may have never watched it and I certainly would not have been able to watch in such a clear and pristine light, destroying any and all distractions from this terribly important film. What is the key for you to choose love when face to face with an enemy? What allows us to hate people so easily in times of war? When we choose love, how does it aid in our spiritual journey? Who is your enemy today? How can you love them?